Agnes is a meek and dependent girl living with her long-time boyfriend Jerry. When she is invited to live with her estranged mother in California, Jerry pushes her to go through with the trip despite her protests, for him to focus on his work and build his career as an advertising executive. Agnes struggles to survive in the United States and tries several times to return to the country, but Jerry insists on prolonging her stay as he struggles to save up for their marriage and support his parents and siblings. He encourages her to get a job and Agnes starts working as a caregiver. Agnes tries to convince Jerry to let her return again and reasons that she has the money to support herself but Jerry insists that as the man of the relationship, he should be capable of supporting her. Jerry starts to avoid Agnes, stressing Agnes out more. The long distance puts a strain on their relationship and ultimately ends when a scared and distraught Agnes is unable to contact Jerry after being put in danger one night. Time passes and Agnes becomes more independent and outgoing, working hard until she lands a job as a real estate agent. Meanwhile, Jerry travels to the United States and visits Agnes, with the intention of getting her back. Jerry is overwhelmed by the cultural difference of the United States and the Philippines, Agnes' success in her career, and the changes in Agnes herself. Despite this, they still manage to mend their relationship, but Jerry accepts that he is simply unsuited for the kind of lifestyle they have in the United States. He leaves Agnes and decides to come home. 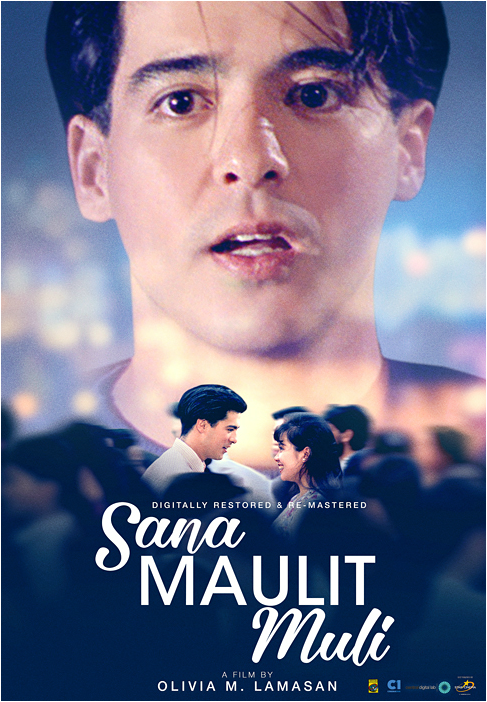 Sana Maulit Muli (lit. I Wish It Happens Again) is a 1995 Filipino romantic film directed by Olivia M. Lamasan starring Lea Salonga and Aga Muhlach, their second film together after the 1992 romantic melodrama film, Bakit Labis Kitang Mahal. 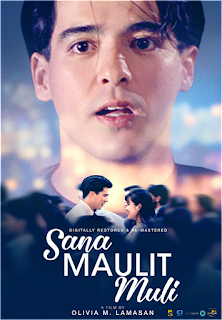 The critically acclaimed film won 1 award at the FAMAS Awards, and was nominated for 4, including Best Picture, Best Screenplay, and Best Actor & Actress for Lea Salonga and Aga Muhlach. It also received 6 wins at the Gawad Urian Award, including Best Picture and Best Screenplay and was also nominated for 6 categories. The film also won 3 awards and was nominated for 4 at the Luna Awards, which was then known as the FAP Awards. In celebration of its 20th anniversary, the film was digitally restored and screened at the Cine Adarna, University of the Philippines Film Institute.